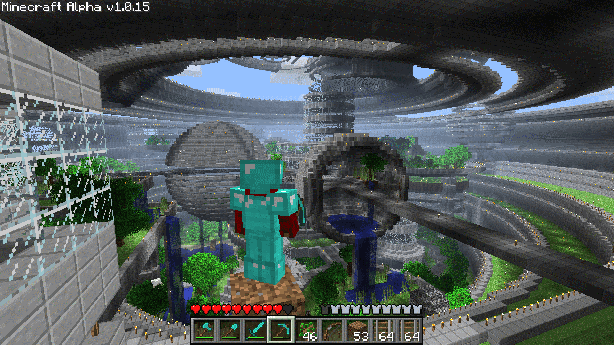 PTSuks Uncanny World: MINECRAFT TO GO BETA DEC 20TH! Happy Birthday to Me! MINECRAFT TO GO BETA DEC 20TH! Happy Birthday to Me! As always with a release from notch it seems some people are never happy or misunderstand things because of translation, but if you notice there are some pretty big changes in regards to a few items. One the price appears to be only slightly increased instead of the doubling that's always been the plan according to the minecraft site, which is certainly a good thing. Second the removal, for beta users and beyond, the promise of all future updates and releases which is the direct result of "the board and lawyers" advising against according to notch's twitter feed. While understandable is always sad, considering how bad "boards and lawyers" always seem to f'up "good things" because boards and lawyers are only in it for the money and not as notch put it early on making a game that he likes to play first and foremost. There is mention of expansions and updates possibly costing, from notch's twitter feed again , somewhat like other game models out there, another thing i'm sure the "board" is pushing for, which is kind of sad if Notch goes the route of "itemization" of items and gear, i.e., buy his exclusive colored diamond pick for 9.99 euros, and/or "expansionification", i.e.,buy version 3.2 which only allows for elite players to create micro-biomes and build into space! Personally I think if he just keep updating the game, ala valve with teamfortress 2 and their dlc, and charged 9.99 euro for the game he would continue to make money hand over fist from new players and he would get more eyes on the other games he wants to make and develop and would certainly buy, somewhat like the Angry Birds model. But if he goes the route of a game say "lord of ultima" and tries to charge you to "speed building up" or similar gimicks then minecraft will fade away and will only be played by we who purchased the alpha, and then for only a limited time as eventually it would get "old", or until the next new indie "shiny" game would strike our fancy. Don't get me wrong I currently love the game and having a blast playing with friends but i'm just having a sinking feeling of how this game might end up as a "webkinz" style of "game" rather that the innovation it has been.